Willow Flats, Grand Teton National Park. Northbound on Hwy 191, just past the junction to Jackson Lake Dam. My wife and I had stopped to look for wildlife as the sun was setting. This is supposed to be one of the best places to spot wildlife, though we never have. But we did witness this sunset, glorious in spite of clear autumn skies. 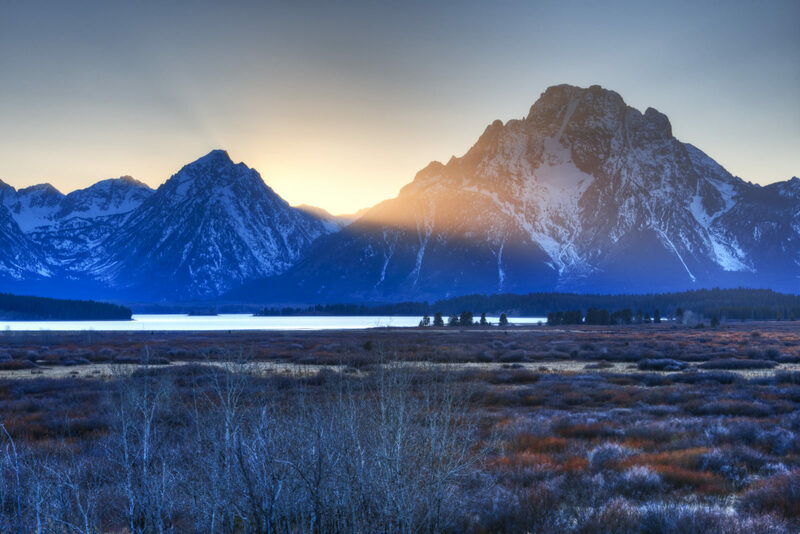 The setting sun has a last hurrah behind Mount Moran and the rest of the Teton range as seen from the Willow Flats Overlook in Grand Teton National Park.